How often and when will the grass be cut in my area? The Grass Cutting Schedule for 2019 will start on Monday 18 March 2019 and continue until November. 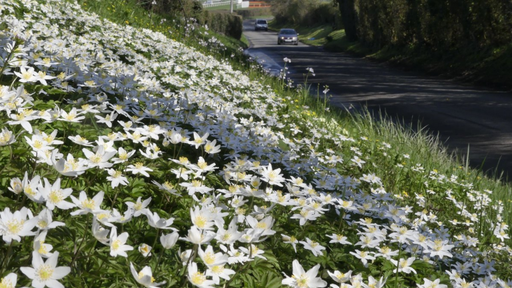 For further information on wildlife verges please see here. Why do you not pick up the grass clippings? Grass clippings are relatively short & mulch down quickly which also slows down regrowth. Raking up, loading, transporting & getting rid of grass cuttings would also increase the cost of the grass cutting substantially so this is not an option at the moment. Why have the edges not been strimmed? Strimming usually takes place within 24 hours of the grass being cut. Why has an area not been cut? If the area is a designated Wildlife site it will only be cut once the annual flowering has completed. These areas are usually cut in September. If the area is cut by the District or Parish Council. If the section of grass is on private land.